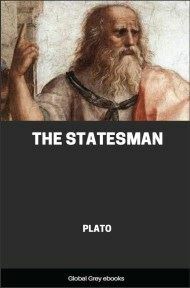 The Statesman, also known by its Latin title, Politicus, is a Socratic dialogue written by Plato. The text describes a conversation among Socrates, the mathematician Theodorus, another person named Socrates (referred to as "Young Socrates"), and an unnamed philosopher from Elea referred to as "the Stranger". It is ostensibly an attempt to arrive at a definition of "statesman," as opposed to "sophist" or "philosopher" and is presented as following the action of the Sophist. In the Phaedrus, the Republic, the Philebus, the Parmenides, and the Sophist, we may observe the tendency of Plato to combine two or more subjects or different aspects of the same subject in a single dialogue. In the Sophist and Statesman especially we note that the discussion is partly regarded as an illustration of method, and that analogies are brought from afar which throw light on the main subject. And in his later writings generally we further remark a decline of style, and of dramatic power; the characters excite little or no interest, and the digressions are apt to overlay the main thesis; there is not the 'callida junctura' of an artistic whole. Both the serious discussions and the jests are sometimes out of place. The invincible Socrates is withdrawn from view; and new foes begin to appear under old names. 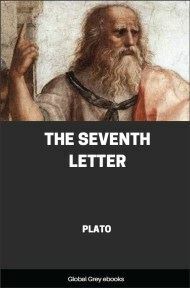 Plato is now chiefly concerned, not with the original Sophist, but with the sophistry of the schools of philosophy, which are making reasoning impossible; and is driven by them out of the regions of transcendental speculation back into the path of common sense. A logical or psychological phase takes the place of the doctrine of Ideas in his mind. He is constantly dwelling on the importance of regular classification, and of not putting words in the place of things. He has banished the poets, and is beginning to use a technical language. He is bitter and satirical, and seems to be sadly conscious of the realities of human life. Yet the ideal glory of the Platonic philosophy is not extinguished. He is still looking for a city in which kings are either philosophers or gods (compare Laws). The Statesman has lost the grace and beauty of the earlier dialogues. The mind of the writer seems to be so overpowered in the effort of thought as to impair his style; at least his gift of expression does not keep up with the increasing difficulty of his theme. The idea of the king or statesman and the illustration of method are connected, not like the love and rhetoric of the Phaedrus, by 'little invisible pegs,' but in a confused and inartistic manner, which fails to produce any impression of a whole on the mind of the reader. Plato apologizes for his tediousness, and acknowledges that the improvement of his audience has been his only aim in some of his digressions. His own image may be used as a motto of his style: like an inexpert statuary he has made the figure or outline too large, and is unable to give the proper colours or proportions to his work. He makes mistakes only to correct them—this seems to be his way of drawing attention to common dialectical errors. The Eleatic stranger, here, as in the Sophist, has no appropriate character, and appears only as the expositor of a political ideal, in the delineation of which he is frequently interrupted by purely logical illustrations. The younger Socrates resembles his namesake in nothing but a name. The dramatic character is so completely forgotten, that a special reference is twice made to discussions in the Sophist; and this, perhaps, is the strongest ground which can be urged for doubting the genuineness of the work. But, when we remember that a similar allusion is made in the Laws to the Republic, we see that the entire disregard of dramatic propriety is not always a sufficient reason for doubting the genuineness of a Platonic writing. The search after the Statesman, which is carried on, like that for the Sophist, by the method of dichotomy, gives an opportunity for many humorous and satirical remarks. Several of the jests are mannered and laboured: for example, the turn of words with which the dialogue opens; or the clumsy joke about man being an animal, who has a power of two-feet—both which are suggested by the presence of Theodorus, the geometrician. There is political as well as logical insight in refusing to admit the division of mankind into Hellenes and Barbarians: 'if a crane could speak, he would in like manner oppose men and all other animals to cranes.' The pride of the Hellene is further humbled, by being compared to a Phrygian or Lydian. Plato glories in this impartiality of the dialectical method, which places birds in juxtaposition with men, and the king side by side with the bird-catcher; king or vermin-destroyer are objects of equal interest to science (compare Parmen.). There are other passages which show that the irony of Socrates was a lesson which Plato was not slow in learning—as, for example, the passing remark, that 'the kings and statesmen of our day are in their breeding and education very like their subjects;' or the anticipation that the rivals of the king will be found in the class of servants; or the imposing attitude of the priests, who are the established interpreters of the will of heaven, authorized by law. Nothing is more bitter in all his writings than his comparison of the contemporary politicians to lions, centaurs, satyrs, and other animals of a feebler sort, who are ever changing their forms and natures. But, as in the later dialogues generally, the play of humour and the charm of poetry have departed, never to return. Still the Politicus contains a higher and more ideal conception of politics than any other of Plato's writings. 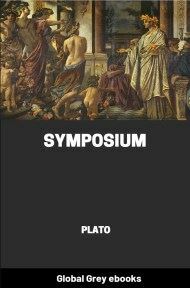 The city of which there is a pattern in heaven (Republic), is here described as a Paradisiacal state of human society. In the truest sense of all, the ruler is not man but God; and such a government existed in a former cycle of human history, and may again exist when the gods resume their care of mankind. In a secondary sense, the true form of government is that which has scientific rulers, who are irresponsible to their subjects. Not power but knowledge is the characteristic of a king or royal person. And the rule of a man is better and higher than law, because he is more able to deal with the infinite complexity of human affairs. But mankind, in despair of finding a true ruler, are willing to acquiesce in any law or custom which will save them from the caprice of individuals.